Air infiltration is the introduction of outside air into a home through door frames, window frames, outlets, walls, floors, roofs and others areas due to pressure differences inside and outside your home. 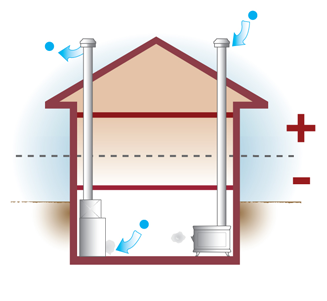 Read on to fully understand and help reduce air infiltration in your home. What causes air infiltration in a window? The style of window. Fixed, picture windows offer the most resistance to air infiltration. Operable windows, such as double hung and sliders, can experience more air infiltration because they have a moveable sash with sliding seals. Casement windows with multiple locking points and compression seals are the most air resistant operable window. The location of the window. Where a window is located in your home can cause more or less air filtration. Windows that face stronger winds can have increased air infiltration, compared to those that are more sheltered. What can I do to reduce air coming through my windows? 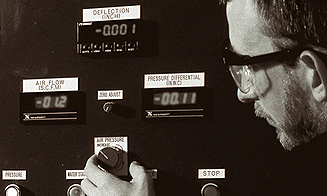 Below are some potential reasons why you may be experiencing air infiltration. Checking these areas may help you reduce air infiltration around your windows. You can also utilize our Air Infiltration Diagnostic Test Guide to help you visually examine your double and single hung windows for potential installation issues. Be sure your windows are properly closed and locked. Clean dirt and debris out of the weatherstripping which can reduce its effectiveness. Inspect the caulking around the interior and exterior trim and molding. Typically, missing or damaged caulk (dried up or shrunken) will allow air infiltration. Installation screws and jamb adjuster screw holes should be caulked and capped. The windows should be installed plumb, level and square; if not, air could enter your home around the frame. If you have siding on the exterior of your home, make sure there is tight seal up to the window. Whistling windows, or a “humming” sound through the siding, can indicate an installation problem. If you suspect questionable installation, it’s a good idea to have the contractor who installed the windows inspect them to ensure the product was installed according to the manufacturer’s installation instructions. If you’re looking to replace the old drafty windows in your home contact a Simonton pro to learn more about Simonton windows and doors. 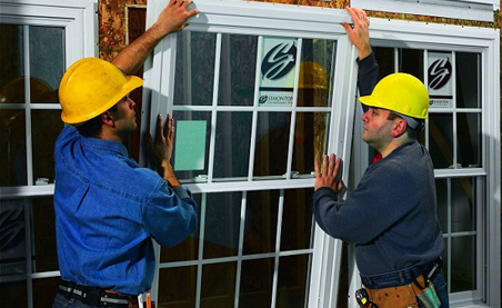 How are Simonton windows and doors tested? All Simonton windows and patio doors are tested to meet AAMA’s (American Architectural Manufacturers’ Association) air infiltration standards. Learn more about AAMA’s air infiltration guidelines here.